AIPUSEN IS a fun and unique company to work for because unlike most other teaching companies in China, one of our top priorities is to make sure our teachers have a healthy, positive and encouraging work environment. OUR TEACHERS are trained on the job to be the best teachers they can be. We understand that action is necessary for reflection, and by reflecting together, we learn and find the best way forward. We provide a structured and efficient curriculum with master lesson plans, and a plethora of teaching materials such as word cards, picture cards, books, and multi-media resources. Each teacher is paired with a local, bilingual teaching assistant (TA) who helps teachers manage classroom behavior, create classroom materials, liaise with schools and parents, and who orients new teachers to our style and curricula. At Aipusen, we focus on training our teachers to be top-notch ESL specialists, so that our teachers leave with lots of quality experiences and confidence in their teaching abilities. OTHER BENEFITS of working for Aipusen are that foreign teachers, teaching assistants, managers, administrative staff function together like one family. Our foreign managers are native English speakers who understand the challenges that come with experiencing life in a foreign country with unique cultural and workplace expectations, and they are here to assist new teachers with any difficulties or concerns they may have with their work or daily life. We have a social events committee, which organizes fun company field trips, events, and parties. Chinese lessons can be arranged, and there are sports clubs and other events we encourage our teachers to take part in. In short, we encourage our teachers to have fun inside and outside the classroom. What we ask in return is for our teachers to work hard with a positive and professional attitude, an open mind and to be flexible with their work schedule. Not afraid to sing and dance! Classes range in size, with anywhere from 10 to 30 students (with most classes being around 22 students). Teachers generally work at one of our main schools, Panyu Zhixin Middle school or Nanhai Zhixin High school, for 95% of their teaching load. 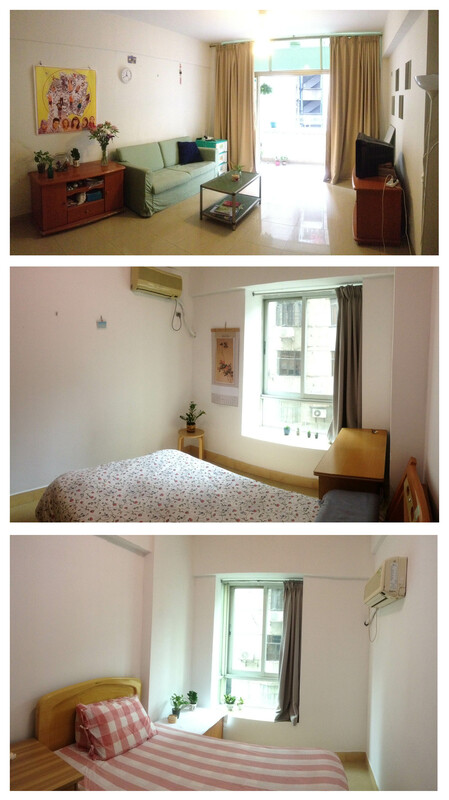 These well-established and prestigious local private schools are located just outside of the Guangzhou city center where our teacher apartments and head office are located. Teachers are provided with a company van to transport them to and from our main schools on a daily basis. At these schools, teachers will have their own classrooms to be set-up and decorated to suit the needs of their students. Teachers will spend the other minor percentage of the teaching week at one our three training center locations. For teachers who work at two different schools in one day and where travel is a factor, schedules are designed to allow ample time for lunch breaks and travel between schools usually by company van. For schools located in the center of the city, the teachers may be responsible for their own transport. All teachers are provided with a fully furnished, western style 2-bedroom apartments, to be shared with one other teacher. The apartment includes: a TV, WiFi, AC in the bedrooms, western style toilet, gas stove and water heater, refrigerator, microwave, couches, living room, dining room and bedroom furniture, and a washing machine. Teachers apartments are paid for by the company, but utilities are paid for by the teachers. Teachers will generally focus on one level: younger elementary/kindergarten, middle elementary, upper elementary, middle school and/or high school. Your schedule will generally be the same every week so you will start with a set schedule and students and you should finish the year with these same students. This way you can develop a good rapport with your students and schools. Teachers work five days a week, Monday through Friday, with weekends off. Standard daytime classes run between 8:30am to 5:30pm. Teachers have an average of 3–6 class periods per day, each period being about 40 minutes long. Every teacher's schedule will have 1-2 collaborative planning blocks per week (2-3 hours each). This is where teaching teams can meet to discuss, plan and make materials for lessons. By contract, teachers are not required to teach more than 25 in-class hours per week, but day-to-day schedules will vary with some days being heavier (5–6 classes) and some days being lighter (3–4 classes). Teachers are also expected to participate in a few extra-curricular, fun activities for students and staff throughout the school year. TA's are partnered with teachers and assist in all classes. On a practical level, TA's help control and focus students' behavior, prepare classroom materials, communicate with parents, and when necessary, translate for the teacher or students. They are valuable collaborators for planning age and culturally appropriate classroom activities, troubleshooting, and adjusting lesson plans when necessary. 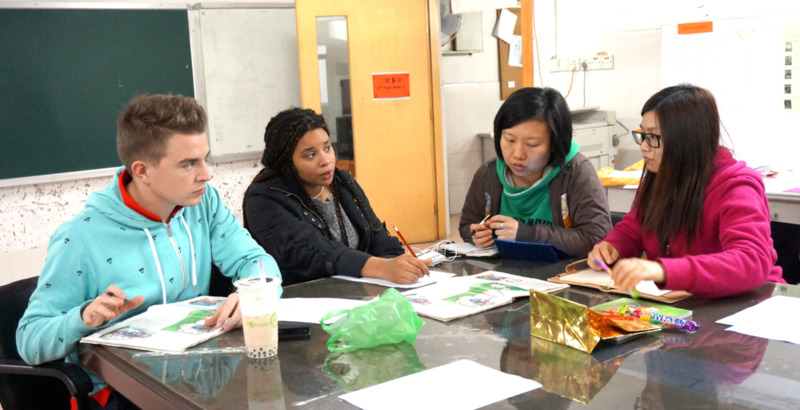 TA's also serve as cultural bridges for foreign teachers, both within and outside the classroom. Many TA's know, based on years of experience, the games and activities students will respond to best. They are also very helpful at orienting foreign teachers to life in China and can help with translations or suggest the best food, transport routes, and sights to see in Guangzhou.